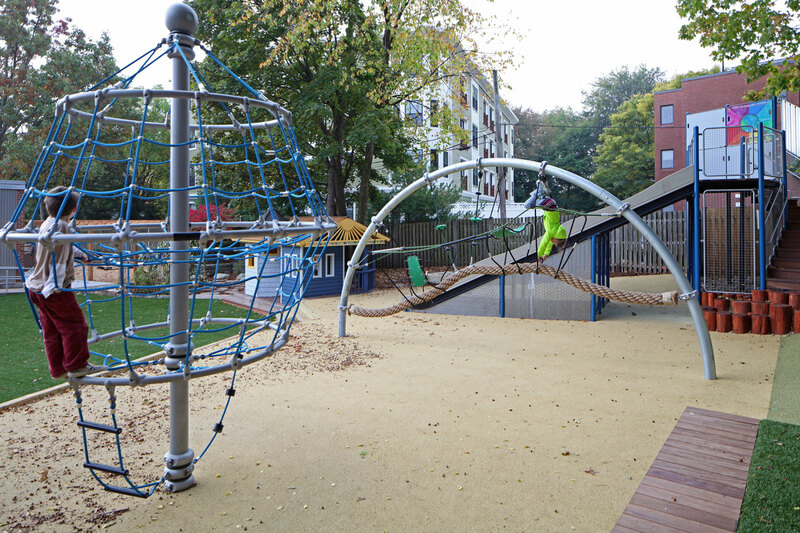 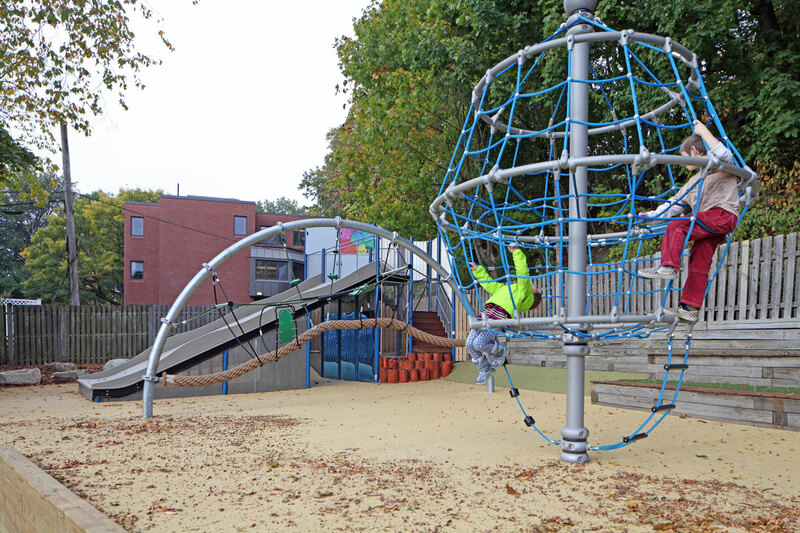 The Fayerweather Street School was particularly interested in making some areas physically challenging and promoting healthy risk taking. 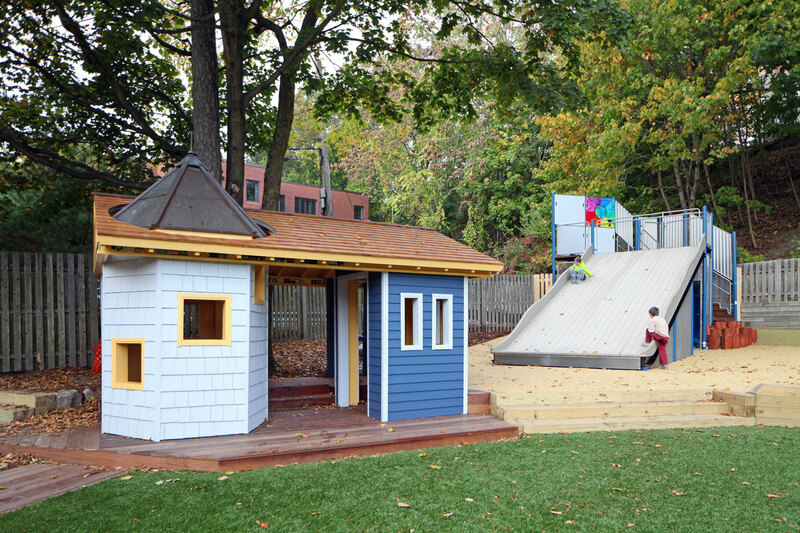 One response was a custom-designed giant slide that is 20 feet long and 10 feet high, which can sit 6-8 children across. 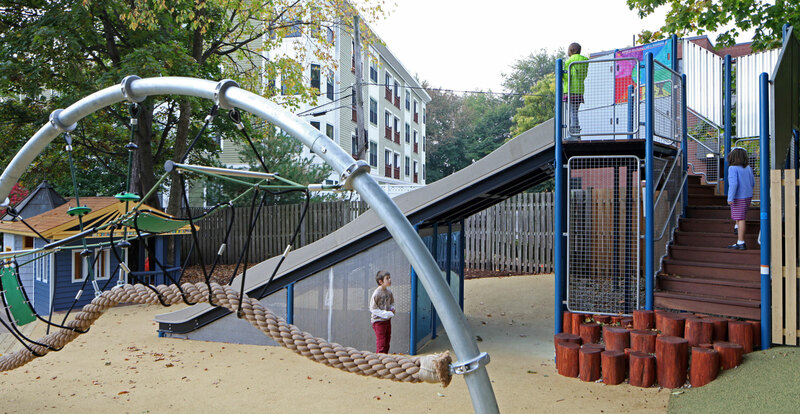 Not only does it fit the criteria of “physically challenging”, but it has also encouraged cooperative multi-age play. 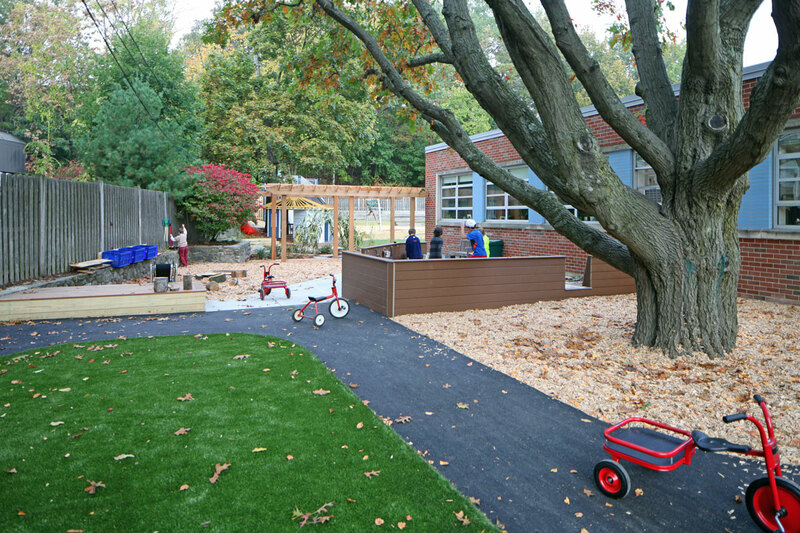 Another strategy that was used successfully at Fayerweather was to develop areas along the spaces perimeter designed for quieter, small group activities. 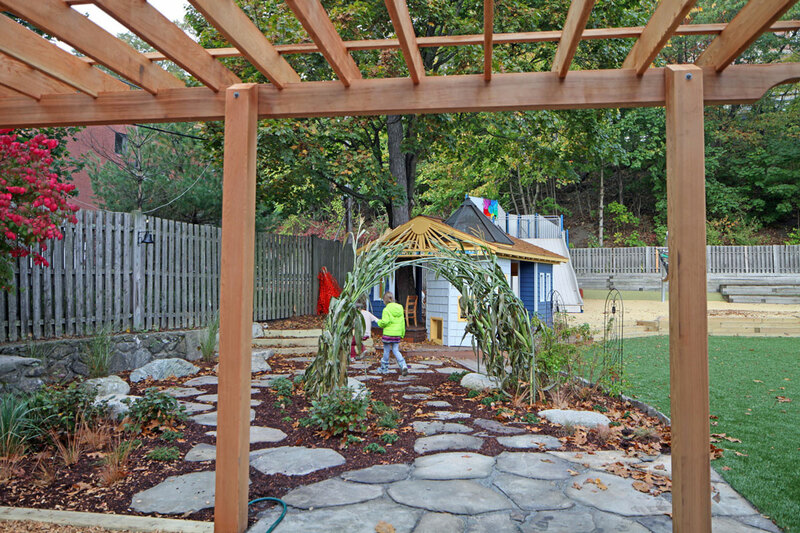 These spaces can allow for exploration and investigation, and create a connection to nature. 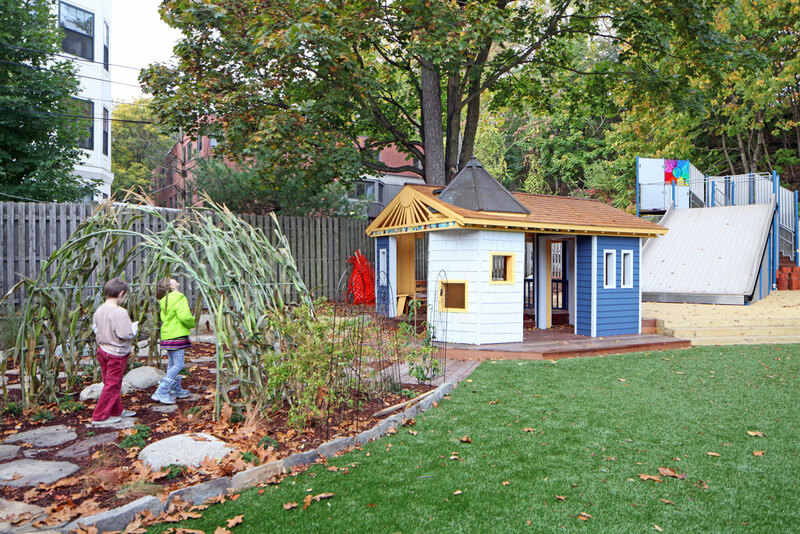 There are also “unprogrammed” spaces in Fayerweather as “green” and “stage” areas that foster social and emotional development, by allowing children to create new games, negotiate ways to use the space, and work together.